When you hear the word "zip ties", the first thing that comes to mind is likely not home decor. Most of us think of zip ties as the work horse of the construction site, garage, or garden. We mainly see them as useful for holding items together or hanging things up, but not something beautiful to be displayed. Originally created in the 1950s for use in the aviation industry as wire harnesses, zip ties (also called cable ties) have come a long way from their original purpose. Yes, these strips of nylon are still heavily used in the electrical industry, but they now come in a wide assortment of colors, shapes, and sizes ranging from miniature zip ties that are only a few inches long to extra heavy duty zip ties that measure between 18-60 inches and can hold around 175 lbs. While this new variety is useful for the industrial industry, it presents a unique opportunity for the creative minded artist and do-it-yourselfer as well. After scouring the internet, we have found twelve fun and fabulous zip tie projects and tutorial that you can make for your own home. 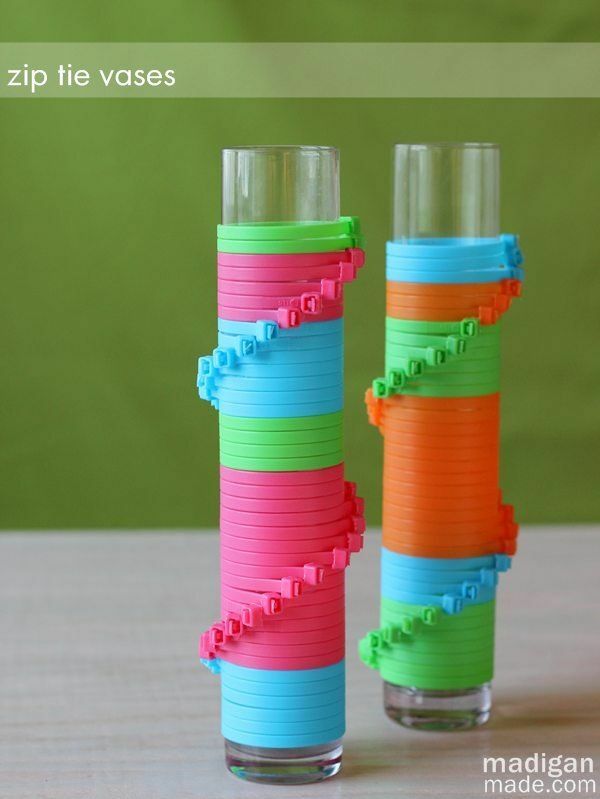 Check them out..
You can easily use zip ties to give everyday objects like vases and cans a bit of extra zing. Just wrap the ties in whatever color you desire around your vase or can and trim the ends. By changing up the colors, you could decorate seasonally or even make a pencil can for your desk using your team's colors. Garlands are a great way to add seasonal spice to your home at the holidays or birthdays. 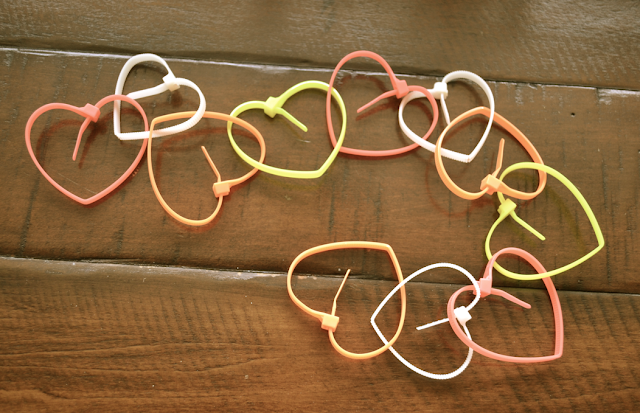 You can even make your own using only zip ties in your chosen color by connecting them together daisy chain style. 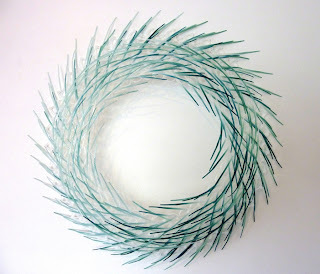 By making a circle with your first zip tie and then attaching other zip ties around it, you have created an easy, fun starburst to hang on a wall or around your home. For a skinny wreath, you can use a single large zip tie as the wreath form and then attach other zip ties around it or you can create a larger base so you have room to attach many more zip ties. By combining items, you can get more from your zip ties. This unique candy dish was created by linking pop tops together using zip ties. Zip tie balls in a variety of colors are a fun way to add a bit of whimsy to any table top. Weave small or large containers for your home using zip ties. Using over 100 zip ties, chicken wire, and an old lamp shade ring, you can make a DIY anthropology inspired lamp shade. This idea works well on hanging light fixtures as well. By chaining zip tie circles together you can make a stunning curtain or wall hanging for any color scheme. This would make a perfect set of drapes, a room divider, or even a photo backdrop for your special event. Are you ready to add a little Southwest into your decor? This cactus basket may not be exactly your style, but by following the general instructions, you could also make a plain version that would be both useful and decorative. Try substituting plastic tubing or even stiff rope for the hose and see what you can create. If you want a clever and inexpensive art gallery wall in your home, all you need is an instant camera and some zip-ties. By punching one small hole centered on each side of your photo, you can link them together to make a whole gallery featuring your favorite places and people. Using over 20,000 plastic zip ties, artists created this life sized polar bear installation that is supported by cables hung from the ceiling. The effect is stunning and would be a challenging project for any artist. Maybe this is a little complicated for the average DIYer, but you know you want to try it! How do you use zip ties to spice up your home decor? Tell us about it in the comments section below!